The beakler is another radical concept out of the SYN lab. We are redesigning the basic platform of the beaker to eliminate the downstem. This has been done several ways, but the beakler is the most stable, strongest and most functional remake of the classic beaker. 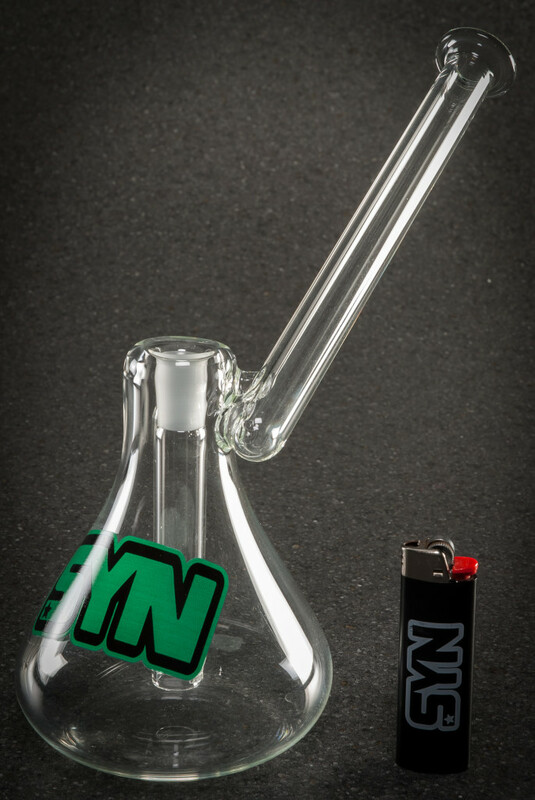 The recessed downstem adds durability by increasing the glass thickness where slide contact is made. The offset mouthpiece keeps everyone a safe distance from the open flame. No more chipped downstems and slogs to the shop to replace an extra part. The simplicity is the beauty behind the beakler.